There is one major weakness in the body of Christ, and individual Christians alike. It is an ignorance of the truths of a close and an abiding walk, in the Spirit. As a result many Christians live a life of spiritual defeat or spiritual depression, and as a result many Christians settle for less than God’s will for their life – because the believer so often lives a life, relying on the flesh and not on the Spirit. 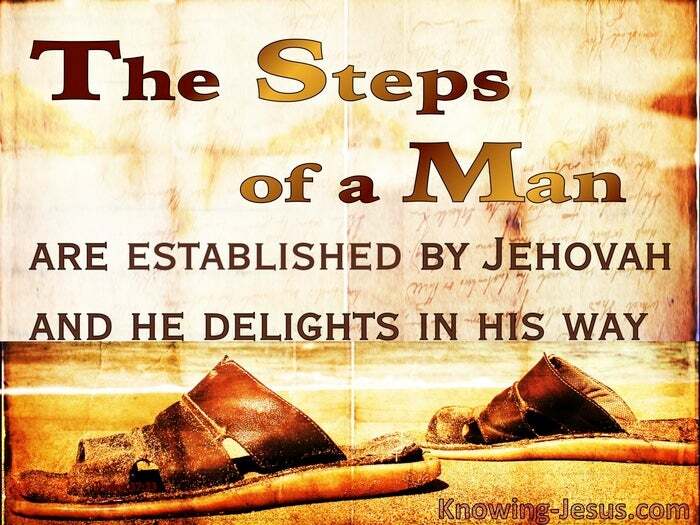 The first step of ‘believe on the Lord Jesus Christ“, is so precious and so simple. God does not make ‘being saved’ complicated or fraught with difficulties. It is simply believe on JESUS – and you will be saved:- Jew or gentile, male or female – young or old – bond or free – great or small. Believe on the Lord Jesus Christ and you will be saved… period. It is not about believing in God… it is believing on the one that died and rose again. Believe on the Lord Jesus Christ.. and Christ alone – for He alone can save. My little granddaughter before the tender age of four believed this simple truth – she is eternally saved and spiritually secure and she too will hear the sound of God’s trump. But there is so much more for that little one to learn and understand – and should the Lord tarry, it will take her a lifetime of seeking to know the Lord. But she has a choice.. to remain as a newborn babe in Christ OR to mature in the faith. And whether 4, 14, 24, 44, or 94, maturing in the faith takes trust in God. And whether 4, 14, 24, 44, or 94, growing in the faith takes time in our life-journey. There is one major weakness in the body of Christ – and individual Christians alike. It is a misunderstanding that being saved is not the end, but the beginning. It is a lack of knowledge of how to grow in grace and in the knowledge of the Lord Jesus. It is ignorance of the truth of a close and and abiding walk – in the Spirit. It is a lack of awareness of the vital, biblical principles of spiritual growth.. such as our ACCEPTANCE in the beloved Son of Gods’ love.. such as our POSITION in Christ and its freeing elements – such as our STRENGTH, which is only commensurate with our weakness. Such as the TIME that is takes to mature in the faith.. such as the FAITH that moves mountains is simply trusting God, not self! Such as the CROSS and the meaning of being crucified with Christ – such as the WAY up must start with a descent down. For it is only when we truly die to self that we can truly live a life to Christ. Maturing in the faith takes TIME – a lifetime. Maturing in the faith needs TRUST – simply standing on the facts of the Word of God. Maturing in the faith requires that you apply PRINCIPLES of spiritual growth – principles that are clearly and concisely outlined in the Epistles. However there is a but – and it’s a big BUT…. it is one thing to hear these things, but is quite another thing to apply them. There is one major weakness in the body of Christ – and individual Christians alike. It is a misunderstanding that ‘being saved’ is not the end but the beginning. 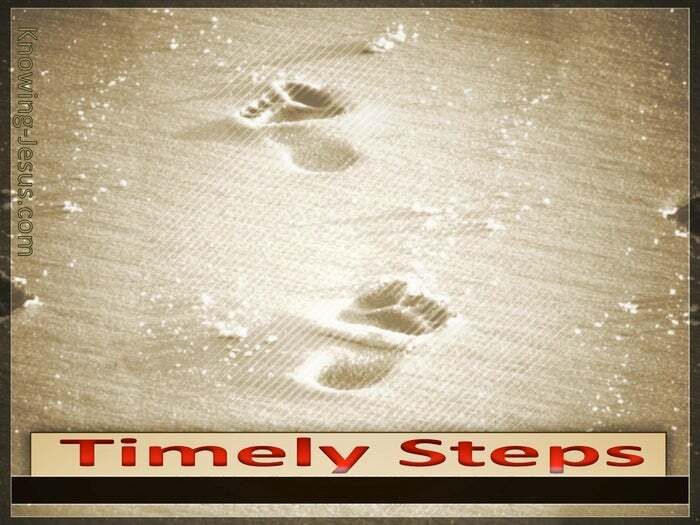 The first step is ‘believe on the Lord Jesus Christ ..” Acts 16:31. The next steps, whether you are 4, 14, 24, 44, or 94 is to learn how to mature. The next step can be taken at once, and this is the best way.. or the next step can be postponed for a lifetime and this is a more difficult route. The wonderful thing is that whether maturity is sought immediately or delayed – all things in life will be worked together for our good, and for God’s glory. The difference is living your life in the discouraging failure of Romans chapter 7 – where we read: O wretched man that I am! who shall deliver me from the body of this death… that is (this ‘old man’ – the old sin nature) OR…. Living your Christian life in the wonderful freedom of Romans chapter 8 – where we read : There is therefore now no condemnation..to them which are in Christ Jesus (that is to them which are living their lives in Christ Jesus, and not living in the failure of the old man of Romans 7) There is therefore now no condemnation.. to them which are in Christ Jesus. However the choice is yours. The choice remains with YOU….